The Magnetic Angle Lights are some of the most useful lights around, and with this deal, you get a set of 2! 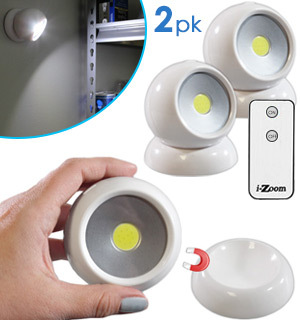 You can mount these, then angle the light in any direction that you need it to go due to the powerful magnets in both the light and the base. 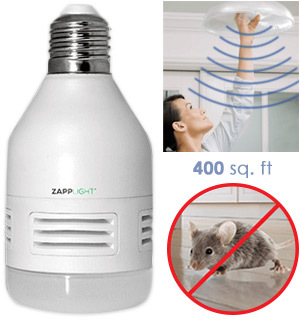 You can also remove the light from the base to use it as a flashlight. There are 3 different way to mount these. The magnet in the base works both ways, so you can affix it to any metal surface, but it also includes 3M sticky pads and pilot holes so you can mount them on screws or nails for a more permanent solution. 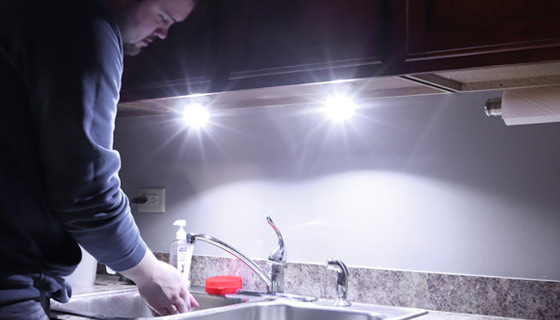 Each light uses a super-bright COB light panel that has 2 illumination modes: High-Beam and Low-Beam. 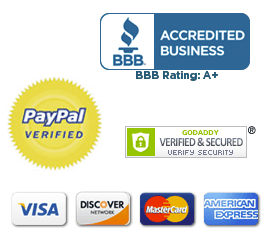 These functions can be controlled from the units themselves, or with the included remote. 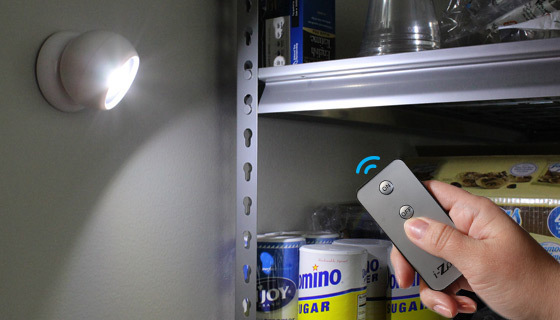 Remote can control the lights up to 15 feet away. The batteries that already came with the lights were pretty much dead or very little light emitted from them. When I installed new ones Duracell the brightness capability was good. new batteries dont last long either. after a short period of use the new batteries are dying also. these lights are battery eaters. These lights are supremely handy. I like the fact that they can be easily mounted wherever theyre needed, removed from their mounts and used as very bright little flashlights, then returned to their mounts. And you get a 2-pk to boot. Great. I bought three sets of these and they work well enough. My problem was that the remote only worked on one. The others are good for the using when you turn on by hand. Hi Douglas! Is sounds like the other two lights aren't paired to the remote. 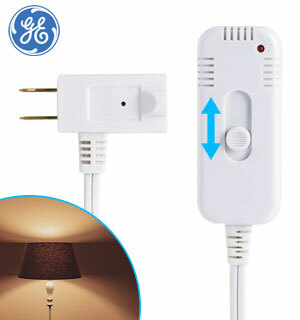 To pair the remote to the light place the remote next to the light but do not press anything on the remote. Hold the down the power button on the light and it will blink 3 times. Once this is done the remove will be paired with the light. I like the attractiveness of these little lights. The only thing I dont like is that they burn up batteries pretty fast. Excellent light for a walk way at night! I like it, Hubby LOVES it! Great little lamps with a lot of power. Makes a great light for the headboard. Hubby has two of these mounted at his work bench in the garage. Would suggest these for a myriad of applications. We purchased these as gifts and two sets for us. 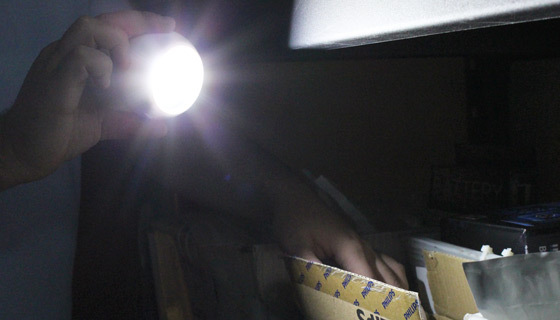 One set is to be used in a closet used for files with no light. The lights Wouk great for it. 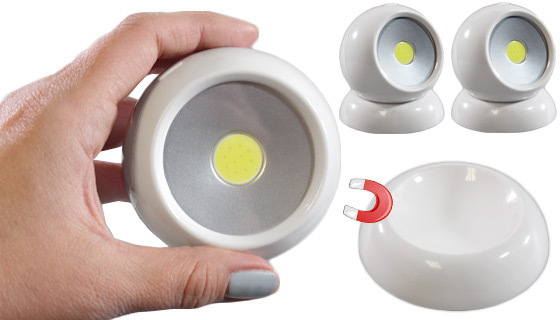 I bought these magnetic Rota-ball 2pk thinking that they really wouldn’t be as bright as it said we’ll to my surprise it was Mega Bright I put one in my closet and one in my shed. These are pretty cool I may need to get a few more as gifts. The lights work well, but the adhesive on the holder isnt strong enough to hold its weight. The entire light and holder keep falling off. Like that it is bright and can be removed. Tape is pretty strong but I would suggest using a command hook a thin one or a nail. Only drawback is that the light falls easily from the base so be careful sit won’t fall on your foot. I love these lights. I even take one with me when I let my dogs run at night to go to the bathroom. Indeed a wonderful produce and the value is just great!! Just what I needed in the kitchen - I have an area where I have my coffee maker between the pantry cabinets and refrigerator and it is dark. These lights were just the right thing I needed, and they work great. I don’t see too well in dark spaces. 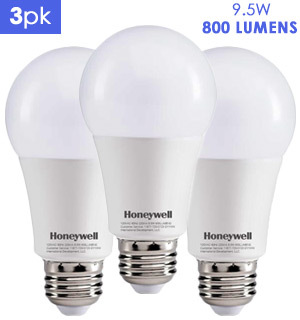 These lights are great for closets, pantry’s, & even in those shelves in storage areas. Very handy for me to find my items in “ dim” locations. Very happy with the product. Works just as advertised.!!!! I ordered six of these and love them. Because of the magnetic mount, I have two in my shower, two above the kitchen sink, and two in my gun safe and they work in all those environments. The remote is like having your own light switch for them! 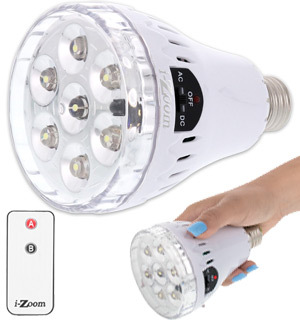 To maintain maximum brightness, youll probably want to keep some batteries on hand or go with recharging batteries, but these are a great value and are very bright.